In fact, you don`t need any special information on casino bonuses. This whole article can be summarized as "Read carefully through bonus terms and conditions". 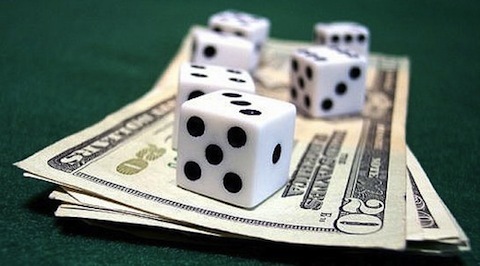 Still, we will try to consider the most common rules for players who want to withdraw their bonuses. Quite often a player is attracted by a considerable remuneration for making a first deposit and does not focus on details, accepting the advantageous (as he thinks) offer without giving it a second thought. The first thing to pay attention to is not the sum of bonuses credited to your account, but conditions of winning them back. As a rule, an unskilled player loses his whole deposit under these conditions. Strange as it may seem, not every player is aware of the fact that you can`t withdraw money right after depositing it in your account. Even if your deposit is increased twice or thrice, you won`t be able to spend it outside the casino. This money has to be won back. To withdraw your money, the minimum sum of your stakes is to be n times bigger than the sum of your deposit and bonuses. In order to claim your winnings, they must exceed your deposit and bonus amount by 40 or 50 times. This condition is called "wager". Quite often a casino also makes requirements to the amount of a first deposit and the time within which it must be won back. Sometimes a smaller bonus would be much more advantageous. Strange as it may seem, a generous bonus is not necessarily the best offer. Moreover, at many casinos a player can win his money back only by playing games which are not popular with the public. In this case a player has no other choice but to try to win in a game that is known to be unprofitable. So, we returned to the idea which we expressed in the first lines of the article. Every time a person willing to become rich in matter of hours is selecting a casino to make his first deposit to, he should carefully read through bonus terms and conditions. Remember that it is not so easy to win money at the casino. Creating an account, you won`t be able to withdraw multiplied amount of money in a week or two.